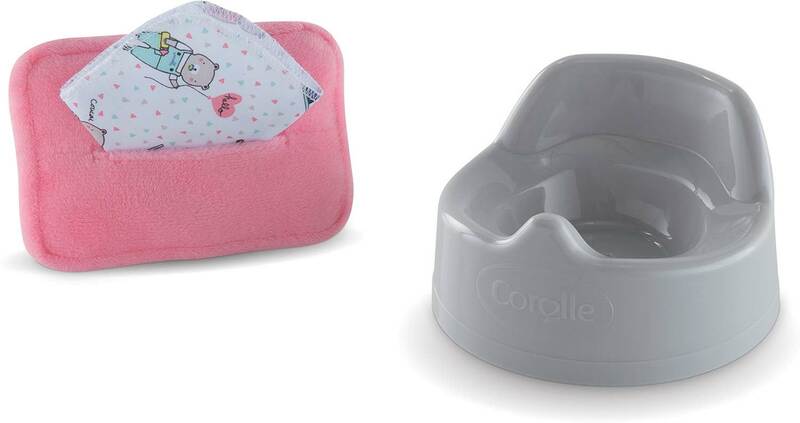 With a potty, cloth baby wipe and cover, the Corolle Potty & Wipe Set is essential to help little ones learn to care for a favorite 12-inch baby doll. 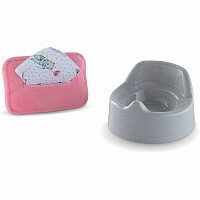 Part of the mon premier poupon Corolle collection of dolls, fashions and accessories for beginning doll play. Measures approximately: 5.00 x 10.00 x 2.50 inches..